The expiry timeout is supported on Mobile (m.html), but not on iOS. 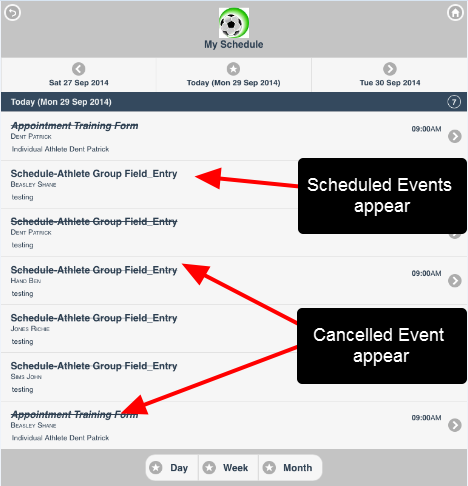 Scheduled Events and Appointments can be viewed in iOS. The date and time of entry of the Scheduled event cannot be edited on the mobile version. Related Entity fields cannot be edited on iOS, only viewed. Related Entities cannot be edited or entered on iOS. This is because conflicts do not appear on iOS. 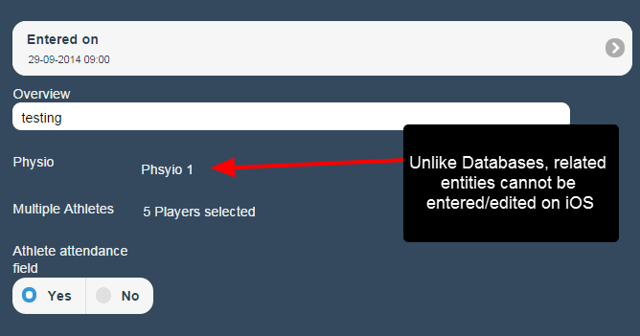 Users will only be able to view the related entity selected. 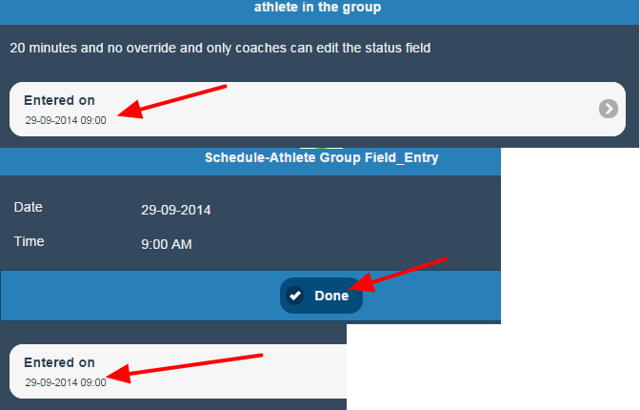 Because Group entry is not supported on the iOS App, you cannot edit the Scheduling Status fields.